A copy was received in exchange for an honest review. 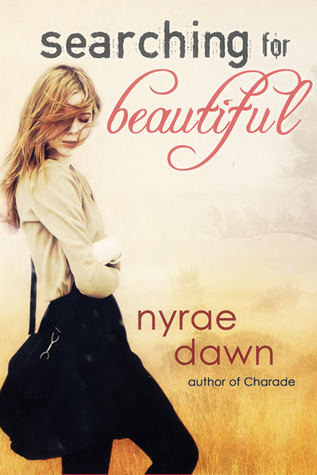 I've read a few of Nyrae Dawn's NA novels and recall thoroughly enjoying them, so when I was approached with the opportunity to review her new YA novel, I jumped all over it! What I loved so much about Searching For Beautiful was how unexpectedly deep it was. There are some tough issues addressed in this book and as a result of that, this story really hits you on an emotional level. The biggest flaw Searching For Beautiful had in my opinion was its slow beginning. I had a real hard time getting into the story and connecting with the main character Brynn. We are introduced to Brynn during a time where she is at a very emotionally drained place. Periodic flashbacks allow us to see what has lead her to this point, but the darkness that overwhelmingly takes over her present was hard to ignore. However, that all being said, as Brynn starts facing her issues and healing, I started getting into the plot. As Brynn begins embracing life again, I began embracing her story. Searching For Beautiful really is a novel about moving forward, growing, and allowing yourself to open up to others.....but that doesn't mean there isn't a little bit of romance thrown into the mix as well. Christian is the boy Brynn first ever danced with and has now suddenly made an appearance back into her life after unexpectedly leaving years ago. What I enjoyed so much about Brynn and Christian's relationship is despite the fact there was always an underlying attraction there for one another, they started off as friends and evolved into a couple. Christian provides that sweet, supporting friendship Brynn so desperately needed and he pushes her to not let her past define her. In addition to all of that, he's able to understand what Brynn is going through because he has issues of his own. His odd love for gummy bears just makes him that much more perfect! Overall, Searching For Beautiful ain't no light and fluffy read, but its intensity and "light at the end of the tunnel" ending leaves you feeling a sort of completeness. It wasn't the easiest novel to get into but I enjoyed taking this journey with Brynn. I look forward to reading more from Nyrae Dawn in the future. 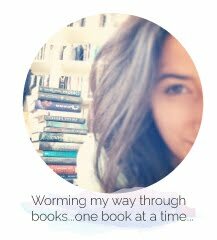 Are you planning on reading Searching for Beautiful? Do you prefer light or more emotional heavy YA reads? Be sure to let me know in the comments below! Keep Reading! At the end I enjoyed it.